One of the best tools for new riders is the instructional How To Ride video. This video covers a wide range of topics that will help riders learn to use the MATBUS fixed route bus system. Below the video is a downloadable transcript, as well as a one-page, printable guide to use as a resource. For quick access to individual topics, click through the menu below. You can also visit the MATBUS Policies page for more information. If you have questions on riding MATBUS, please contact one of our Dispatch Team Members at 701.232.7500. You can learn MATBUS routes by visiting our schedules or maps pages. From here, you can select each route for individual timetables and maps. 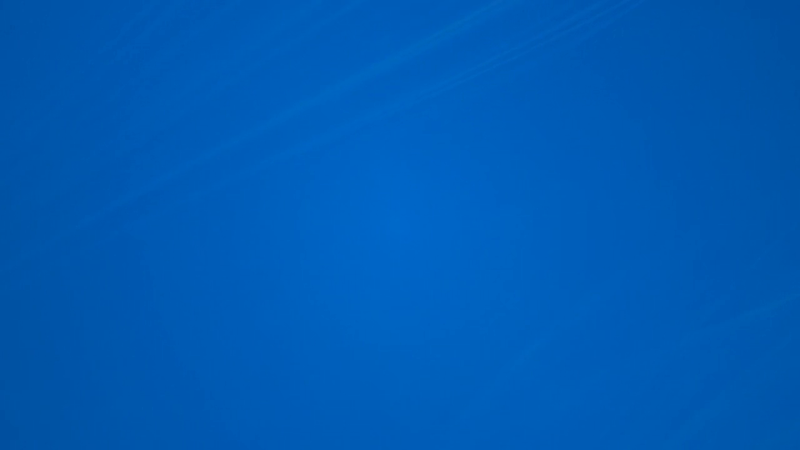 You can also download the full system map. 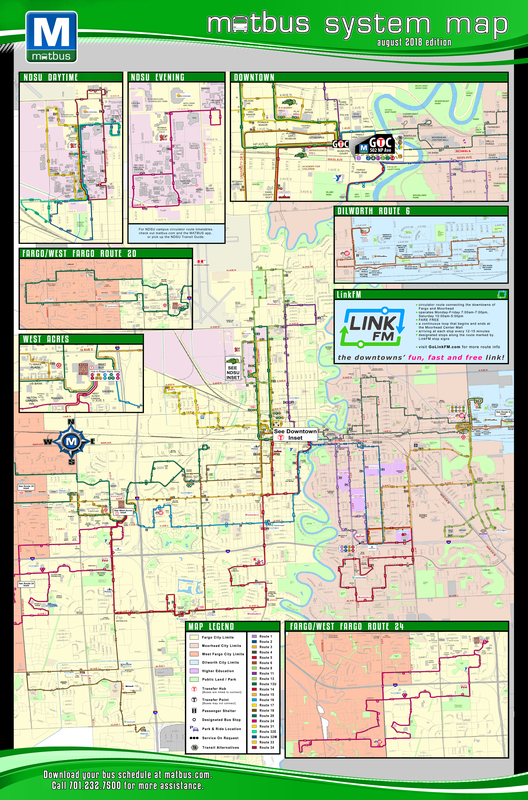 All MATBUS printed materials, including student resources, LinkFM brochures, and the full system map and timetables, can be found at the Ground Transportation Center or mailed on request. Brochures are also uploaded to the MATBUS mobile app. Easily plan your trips with the Trip Planner, hosted with Google Maps. Make sure the Transit button is selected at the top, then enter your starting and destination points. You can select "Depart By" or "Arrive By" times to customize your schedule, and also select options like "Less Walking." The directions will show everything you need for your trip, including boarding time and location, which route to take, transfers, and when and where to deboard. If you have more detailed trip plan requests, please contact one of our Dispatch Team Members at 701.232.7500. All MATBUS fixed route vehicles are accessible and have two wheelchair securement spaces. Ramps are available for those using mobility devices and on request. Drivers will secure all wheelchairs with a safety mechanism. For more information, visit the Disability & Accessibility page. Monday - Friday: 6:15 a.m. to 11:15 p.m. There is no fixed route service on Sundays. Refer to timetables for specific start and end times, as they may vary per route. MATBUS ends service early on Christmas Eve. Some routes have varying levels of service based on U-Pass school academic calendars. Route 2 has additional service in the afternoons during the academic year. NDSU campus circulator routes (13U, 31, 32E, 32W, 33, 34, and TapRide) run only during the academic year and suspend service during campus holidays. These dates are listed on the Calendar. MATBUS stop signs identify the locations that the bus will stop to pick up or drop off riders. Fargo signs are also used in West Fargo, and Moorhead signs are also used in Dilworth. NDSU signs are in place on NDSU campus routes. LinkFM signs are placed at all stops served by that downtown circulator route. The Ground Transportation Center (GTC), located at 502 NP Avenue in Fargo, serves as a hub for bus operations. At the GTC, Dispatch Team Members assist passengers in trip planning, selling fare media, coordinating transfers between bus routes, safely dispatching buses departing the GTC and assisting drivers in handling the various issues arising on the routes. Staff is also available for bike and bus training at the GTC. Monday - Friday: 6:00 a.m. to 11:15 p.m.
Saturday: 7:00 a.m. to 11:15 p.m. Passes may be purchased 15 minutes after opening through 11:00 p.m.
A door-to-door service for persons with disabilities who are unable to use the MATBUS fixed route services without assistance. For more information, and to view the application process, visit the MAT Paratransit page. You can also call MAT Paratransit Dispatch at 701.232.7500 option 2. A resource for area transportation services for people with disabilities and those over age 60. Details can be found on the FM Ride Source website. On the map, each bus route has a unique color and number. Several common destinations have their logo featured on our map. Shelters, transfer hubs and designated bus stops are indicated by symbols. At the top of each timetable, the route number and common locations are listed. Column headings display key locations and are listed in the order the bus travels. In the upper left corner of the timetable, a graphic within a black diamond indicates the location from which the route hubs (i.e. a route that starts and ends at the Ground Transportation Center, shown below). Above each column is a letter within a circle that corresponds with the same location on the map. Below the headings are the times the bus travels by those locations. Reading from left to right, find the location nearest to you. Follow the column down to determine the time the bus will be at that particular location. The time on the timetable is the earliest a bus will arrive at that location. If you are boarding the route at a bus stop that is not listed on the timetable, look at the time that is listed prior to where you are boarding, and use that as the time for your stop. You must be at a bus stop when waiting for the bus. Our buses will stop at all MATBUS signs and shelters along their route when a passenger waves. If you are standing in a shelter or building, step out as a bus approaches so the driver can see you. Routes will only stop at designated bus stops. These are marked with a symbol on the map and a MATBUS stop sign at the boarding location. For the most up-to-date stop locations visit our schedules or maps pages. Before you get on the bus, check the route number and destinations displayed on its marquee signs (located on the front of the bus and the passenger side). Several different bus routes may travel down the same road. Please wait until other passengers exit before boarding. Passengers using a mobility device will be allowed to enter or exit the vehicle first. Passengers are required to ask for accommodations, such as extending the ramp or kneeling the bus. Be careful when entering and leaving the bus, especially during inclement weather. Objects such as wheelchairs, strollers, walkers, shopping carts, etc., must not block aisles. Packages left on the bus may be stored in lost and found. MATBUS reserves the right to dispose of any and/or all items left unattended. The use of threatening behavior or vulgar language will result in you being asked to leave the bus or GTC. You may need to transfer between routes to reach your final destination. Transfers are free between all MATBUS routes (excluding LinkFM) and are accepted at any location along the route as well as major transfer hubs (listed below). If you need to transfer, request a transfer ticket from the driver when you board the bus. When you board the second bus, place the transfer ticket in the slot on the top of the farebox. Riders with unlimited ride passes do not need transfer tickets. Just use the pass each time you board any bus at any bus stop. If your destination is a transfer hub, your trip will be considered complete; therefore, you must pay for the return trip. Major transfer hubs are identified on the map and timetable by a white circle with a red 'T' in the middle. Transfer Points are identified on the map on timetable by a white circle with a black 'T' in the middle. More than one bus travels to these locations, but the buses are not scheduled to connect. One block before you wish to exit the bus, pull the bell line located near the window. The driver will let you off at the next designated bus stop. Think "safety." Wait for the bus to move on before crossing the street. All MATBUS fixed route vehicles carry up to three bicycles on their racks. Bikes will be accommodated on a first-come, first-served basis. Always tell the bus driver before stepping in front of the bus to load or unload your bicycle. MATBUS is not liable for personal injury to riders who are loading or unloading bikes, or damage to the riders' equipment. For more information about bringing your bike on MATBUS, visit the Bike & Ride page.